University leaders are afraid to call for the introduction of tuition fees, according to one University principal. Last month, Professor Craig Mohoney, principal and vice-chancellor of the University of the West of Scotland (UWS), said charging students for higher education would generate much-needed income. Professor Mohoney told the Times Higher Education that tuition fees were “not talked about very often” among principals. 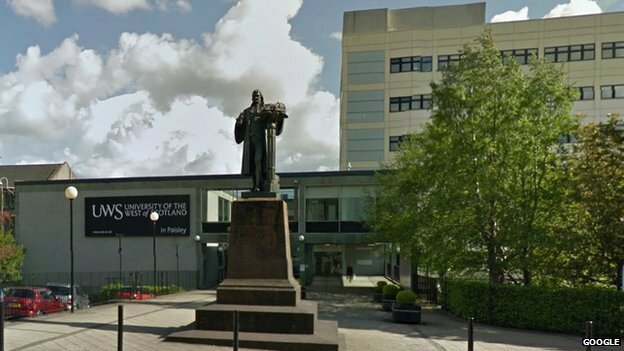 Professor Mohoney argued that grants from the Scottish Funding Council provided the equivalent of about £8000 per student at best, leaving his university with a multi-million pound shortfall compared with English universities. He recently suggested giving refunds to non-EU and English fee-paying students who failed to complete their courses. The comments were attacked by students and lecturers, who back the Scottish Government’s stance on free tuition for Scottish students. A statement from the students’ association at UWS said: “Students at UWS and across Scotland have consistently rejected the idea of tuition fees. This consumerist ideology creates unnecessary barriers to education. “UWS is one of the best institutions for opening its doors to students from widening access backgrounds. A Scottish Labour government would keep university tuition fee-free, Jim Murphy announced when he met students in Glasgow earlier this month. The Scottish Labour leader also spoke of a funding package to ensure Scottish universities are properly supported alongside Labour’s plan to reduce tuition fees in England. However, the SNP criticised Labour’s record on tuition fees and said students in Scotland “won’t be fooled” by Murphy’s “shameless hypocrisy” on the issue. Dr Michael Foxley, further education regional chair for the Highlands and Islands, suggested alternatives to tuition fees in a letter to the Herald. Dr Foxley urged universities to cut the four year degree down to lower student debt and save money. He spoke of how universities need to “urgently” review the current schedule of two semesters per year as part of a degree. “This usually amounts to some 10-12 hours of lectures over 18 weeks in a year. Last year, the University of the Highlands and Islands became the fourth university in recent years to offer a new “fast track” degree which aims to help students get into employment more quickly and lower the costs of higher education. Dundee University, Abertay University, in Dundee, and Queen Margaret University, in Edinburgh, have already launched three year degrees which run alongside the longer qualification. But despite these developments, Universities argue that the four-year degree structure is flexible in allowing for different entry and exit points to suit students who don’t want or need to study at university for four years. Posted in News and tagged scottish, Student, students, Tuition, tuition fees, university, UWS. Bookmark the permalink.